Computational approaches towards unraveling the repertoire of noncoding functional RNAs in vertebrate genomes. 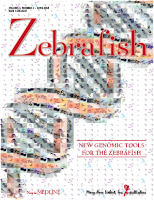 · Integrative Assembly and Annotation of Whole Genomes: We recently announced the whole-genomes of Zebrafish Wild-type strain genome. Integrative analysis and Community Annotation of Genomes and large Genomics data-sets.